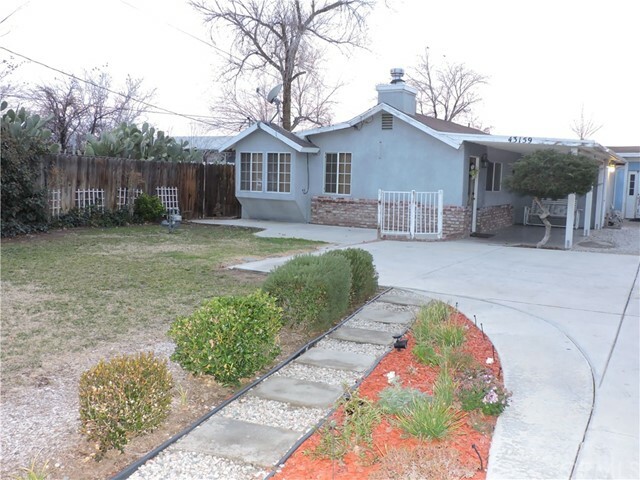 Amazing opportunity in a nice quiet neighborhood of Lancaster. Huge potential with this 3 Bedroom 2 bath home situated in a lot of almost 23,000 sq.ft. You can subdivide into two separate lots if you choose to and build a second home or just enjoy all the freedom this huge lot has to offer. This home is in excellent condition and very well maintained with a beautiful manicured landscaping. In close proximity to shopping centers, Starbucks, Elementary schools and a smooth commute to the 14 freeway. Come see why this is the perfect place to call home and fall in love with it the moment you lay your eyes on it.